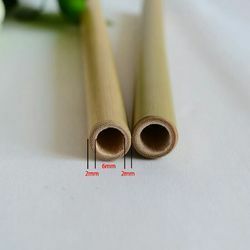 - Organic Handcrafted Bamboo Straws: Chemical free Pleasing alternative to plastic ones. Over the past three years workshops have been conducted with over 100 craftspeople who work with bamboo, central to their existence, in this remote and much ignored part of India. Designer and Treated solid Bamboo furniture. Non toxic chemical treatment to avoid powdering and termite. No iron nails, only bamboo nails. Coated with cashew nut shell oil for additional protection and finished iwth Asian Paint Melamine. 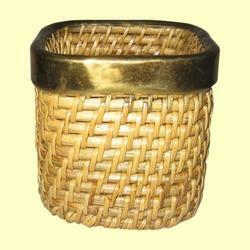 Description: Candle-stand cover made of hand-woven bamboo. We are engaged in providing cane and bamboo crafts products such as utility items. Unique various Bamboo Handicrafts Product made of Bamboo having Pen Stand , Frame, Flower vase , Basket, Tray etc etc.